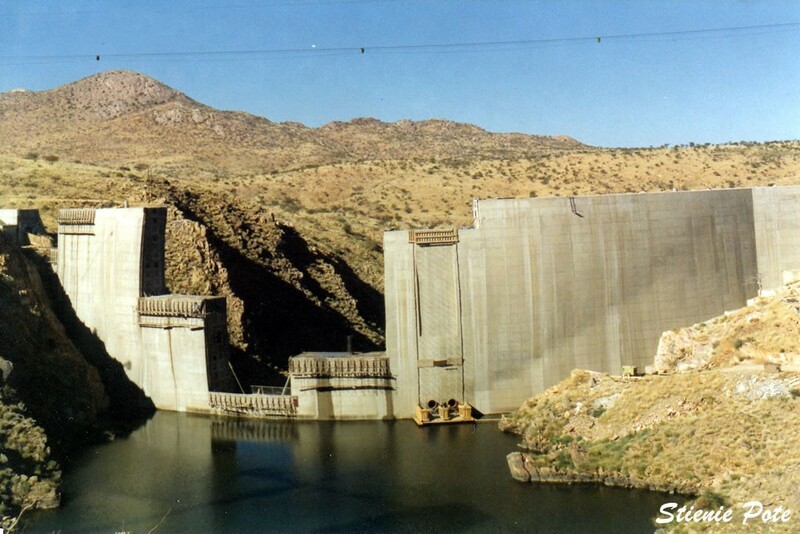 Oanob Dam is a dam outside of Rehoboth, Hardap Region, Namibia. 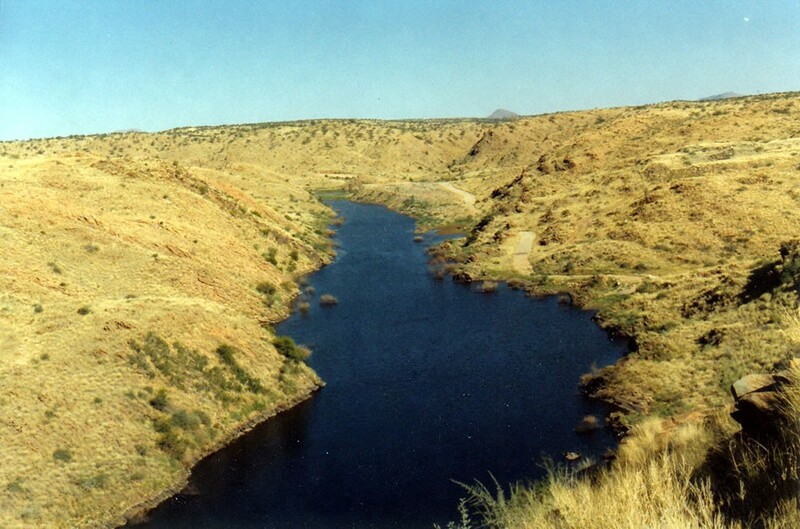 Located 7 kilometres outside of Rehoboth, it dams the Oanob River and provides the town with a majority of its water. 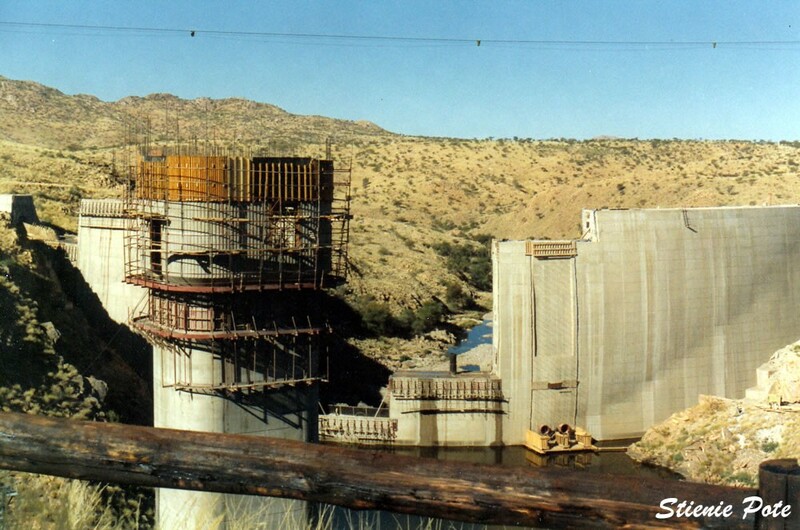 It has a capacity of 34,505,000 cubic metres and was completed in 1990, the year of Namibia's independence. The photos were taken during May 1987.